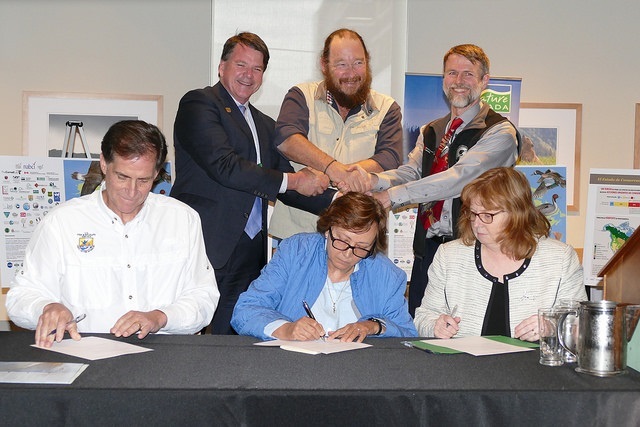 Today, the Trilateral Committee celebrates great milestones of collaborative conservation for birds among the three nations with the signing of the Letter of Intent Related to the Conservation of Migratory Birds and Their Habitats in the United Mexican States, the United States of America, and Canada. 2016 marks the 100th anniversary of the Convention between the United States and Great Britain for the Protection of Migratory Birds. It also marks the 80th anniversary of the Convention between the United States of America and the United Mexican States for the Protection of Migratory Birds and Game Mammals. Migratory birds don’t recognize international borders and these acts protect more than 1100 bird species by making it illegal to pursue, hunt, take, capture, kill or sell live or dead birds, feathers, eggs and nests. Continued national and international collaboration and action throughout their migratory ranges is essential to maintain their populations. In recognition of this, the Trilateral Committee Executive Table Co-chairs signed the Letter of Intent related to the conservation of migratory birds and their habitats in Mexico, the US, and Canada. Looking forward to the next centennial, we can build upon the successes and lessons learned. Efforts to mediate the negative impacts on our birds are highlighted in the State of North America’s Birds 2016 report. The following are examples of successful models. The Western Hemisphere Shorebird Reserve Network (WHSRN) has designated nearly 100 key migratory shorebird habitat sites from Alaska to Tierra del Fuego. In Canada, the provinces of Ontario and Quebec have pledged to protect 50% of their boreal forest habitat. The Mesoamerican Biological Corridor program in Mexico supports people and forests through sustainable timber harvesting, eco-tourism development, and sustain¬able agro-forestry such as coffee and cacao. A pine-oak alliance in Mexico has restored habitat on more than 1 million hectares in southern Chiapas, Oaxaca and Guerrero, as well as farther south in Guatemala and Honduras. U.S. biologists work with farmers and ranchers to increase participation in Farm Bill conservation incentive programs. 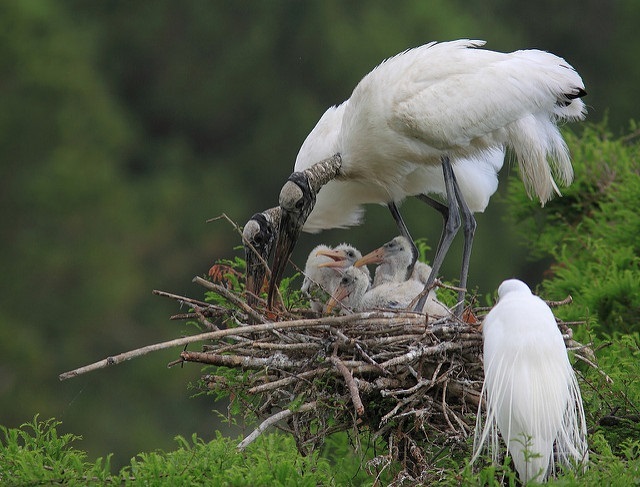 In addition, the theme of the plenary session taking place at the Canadian Museum of Nature is Celebrating 100 years of conservation of migratory birds and their habitats and looking ahead to the next 100 years. The agenda was comprehensive and Trilateral Committee participants attended four panel discussions including 1) The Legacy of Migratory Birds Convention: Bird Conservation Successes over the Past 100 Years; 2) Current Efforts to Address Conservation Challenges Facing Migratory Birds and Their Habitats; and 3) A Vision for the Future of Bird Conservation in the Americas and 4) Guided Panel Discussion with Speakers from All 3 Panels. The event concluded with a renewed hope and commitment of the Trilateral Committee and other biodiversity conservation stakeholders.